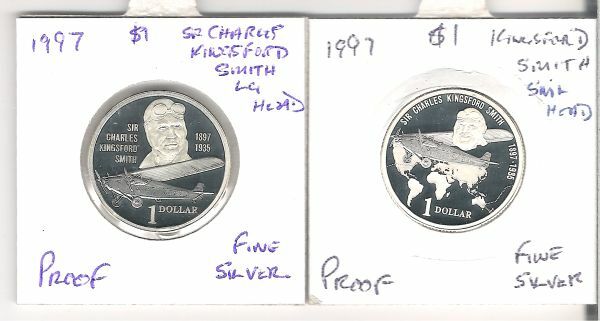 1997 Sir Kingsford Smith coins. 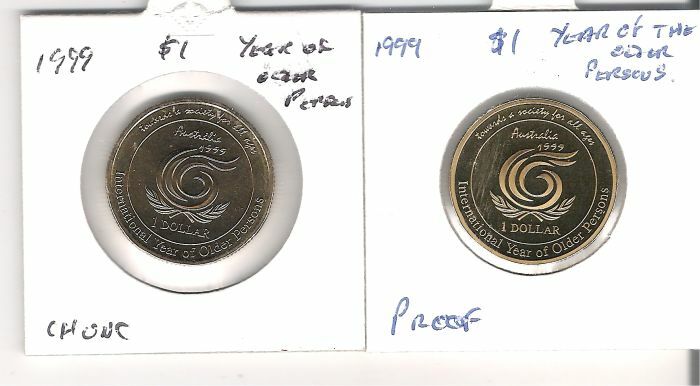 NO MOR coins minted in 1997.
noodling , but just standard ones not silver proof ..
Not when you find them in circulation.. then they're CNCLT or maybe EX-NCLT. 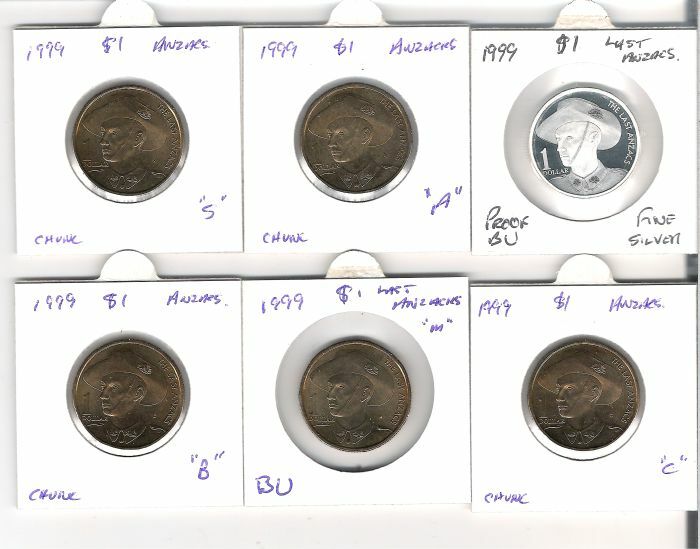 Then there's SSNCLT, Stupidly Spent NCLT, as in the guy I saw at the mint, who handed his mate the coin he'd just minted so he could shove it in the slot! DOH! Hehe... Quite reasonable, actually. Also, according to the staff, this was quite a common occurrence. Go figure. 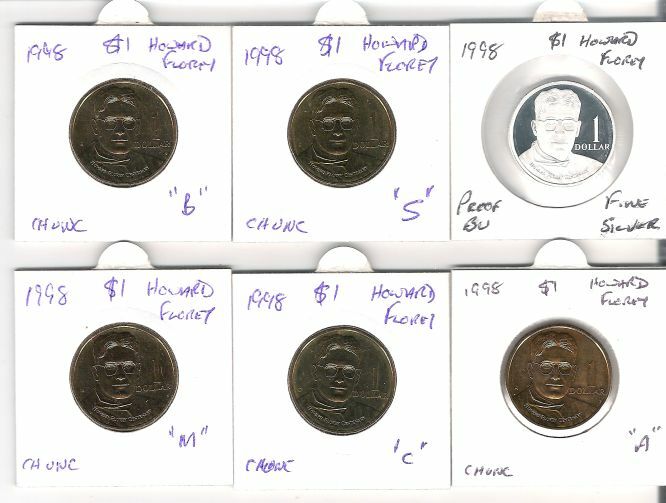 Here are the 1998 Howard Florey coins. 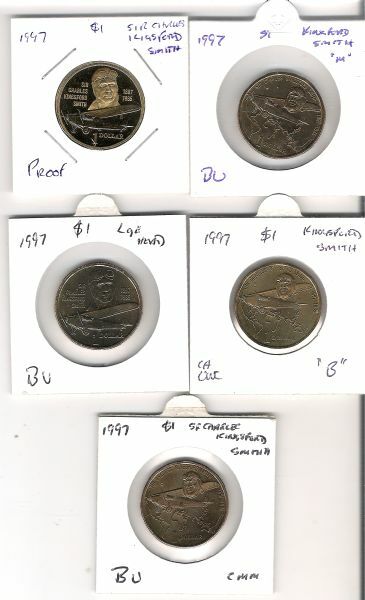 The year of the older Persons and the Last Anzac’s coins.